Serving 1.8 million residents throughout the Washington, D.C. Metropolitan region, the Washington Suburban Sanitary Commission (WSSC) is the eighth largest water utility service in the country. Established in 1918, WSSC is known as an industry leader for its best practices and perfect track record of meeting and exceeding federal standards. The organization even owns a number of patents for innovations that range in use from fire hydrants to lift mechanisms. 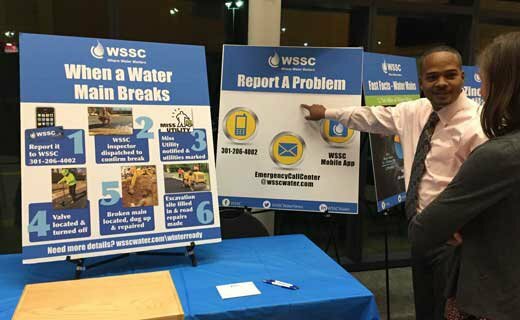 WSSC currently has 1,700 employees and operates and maintains three reservoirs, two filtration plants, and six water resource recovery facilities throughout Montgomery and Prince George’s counties. 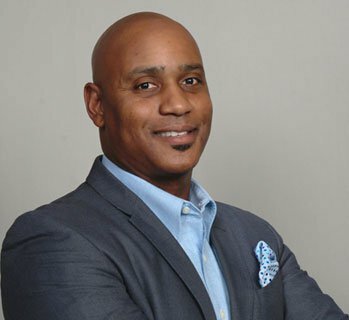 We recently sat down with chief information officer Vennard Wright to learn more about WSSC’s efforts in Maryland. Congratulations on recently celebrating 100 years. What would you say is WSSC’s greatest accomplishment throughout the past century? We’ve been in business for 100 years without a single drinking water violation, which is a really big deal, particularly in light of very public situations such as the one in Flint, Michigan. There are a lot of people throughout our organization working diligently to make sure we steer clear of violations. In our lab, there are dozens of chemists, engineers, and scientists using the correct chemicals to make sure everything is working properly. We also do half a million water tests per year. As one of the largest water utilities in the nation, WSSC serves 1,000 square-miles throughout Montgomery and Prince George’s counties. How does your team handle serving such a populated metropolitan region? Our main goal is to do a better job with customer service – a lot of our efforts are going into that. We’re working on being more transparent, and, technology is a big consideration for us. Right now, our largest project is called Project Cornerstone which consists of putting in new systems to support that goal. A new billing system will be in place by May 2019 and we’re looking at advanced metering infrastructure (AMI) for smart meters and monthly billing in a few years. This will allow our customers to see water usage insights, compare usage to their neighbors, and find ways to cut costs and reduce water usage. In addition to your state-of-the-art lab performing 500,000 tests every year, what are some other precautions taken to provide excellent customer service? We proactively repair pipes. We don’t want to lose water or have any leaks come into the water supply, and we also make sure the sewage pipes aren’t leaking out anything that shouldn’t be there. We use technologies that can predict when pipes will start degrading and can predict which lines will break under certain conditions. Finally, we thoroughly process water to ensure it is fit for going back into our waterways and environment. We want to return water back to the environment cleaner than we first received it. In 2016, Carla Reid was hired as the first female general manager and CEO in WSSC history. What kind of leadership has Reid brought to the organization? It’s groundbreaking – as a father of three daughters it means a lot to see a woman in this leadership position. Carla Reid is very approachable and has been a big supporter of our team. She’s focused on everyone becoming better leaders. We’ve started having quarterly “Leaders on the Same Page” meetings where all of WSSC’s managers and team leads meet and discuss different initiatives and strategies, and we remind everyone of our mission and vision for the organization. Carla often reminds us that WSSC is on its way to becoming a world-class water utility. She wants our employees to have the resources necessary to do a good job, and she really cares about our team and our efforts at a fundamental level. What can our readers do to help maintain fresh, clean water throughout the state? Please be sure that fats, oils, and greases are not flushed down the drain or the toilet – they really clog the pipes and can cause system disruptions. Wipes and other “flushable” items also create major problems over time. Most importantly, if you notice something, be sure to report it so we can be proactive and make sure the problem is taken care of. In case of a water or sewer emergency, contact us via email at EmergencyCallCenter@wsscwater.com or by phone at 301-206-4002.